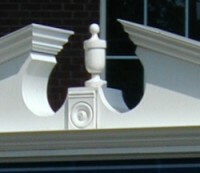 Decorative Fluting, Enamel Finish, Seamless Assembly - these features designed specifically for the Church market, are only the exterior advantages of our signs. Inside, we have engineered only the finest of available materials. 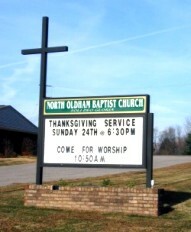 Distinctive Signs custom designing staff will take your vision of a sign for your Church and turn it into reality. First, you'll want to determine a few specifications about how you'd like your sign to look and the size you want it to be. 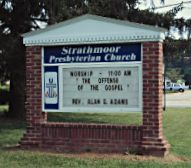 Once we have this basic information and you've selected a style from the Distinctive Signs sign planner brochure, one of our Church sign specialists will work with you to determine other specifications. 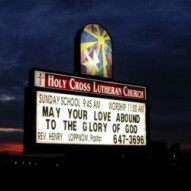 Our Church sign specialists can help you determine other specifics like whether your sign should be illuminated by top-lit or back-lit. Once we have all your specifications, our designers will render a full color drawing of your sign and send it to you for final approval. There is no charge for this estimate. When your payment is made with your order you will receive a 4 % discount. Our Pricing is "No-Nonsense" - See our Pricing Page for upfront costs. Each Distinctive signs has been designed with the best features, materials, and assembly all quality controlled in our own State-of-the Art Facility. See our Features Page for complete description and specifications. We staff an Architectural Designer to coordinate any custom installation with your Builder or Architect. Scaled Drawings/Renderings for Permit and Zoning. Structural Calculations for Building Department. See our Support Page for more information about this program. Distinctive Signs provides a lifetime warranty against defects in workmanship and/or materials on cabinet, paint, support structure, graphics and face construction. The sign faces, message area and cover are warranted against breakage. Click here to receive our FREE sign planner brochure. 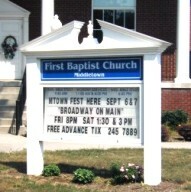 Your request will be e-mailed to our Church sign representatives immediately.